This conversion rate optimization summary was inspired by GoodUI FastForward. It is a way to consolidate many A/B test into typical paterns with the aim of improving the conversion rate. With alle tests we aimed the optimization of the conversion rate. The conversion rate was measured usually by the completed eMessages, these are the forms filled and sent from visitors. Quote requests is a particular type of eMessages – the hottest and more wanted. Conversions were usually not measured only on the page where the experiment took place, but anywhere on the site. Why do we compare to 1.645? A Z-Score of greater than 1.645 indicates that there we can be 95% confident that the conversion rate of the variation is greater than the conversion rate of the control group. This means that there is only a 5% chance that the conversion rate is less than or equal to the conversion rate of the control group. 95% is the confidence level that the statistics community has come to agree is the best in the most situations. It is a balance between sample size (and thus time required to run the test) and assurance that the result is correct. You can calculate for higher or lower confidence levels, but 95% will be the best for most situations. If a test needs to be completed quickly switch to a lower confidence level. For more critical applications you may want to switch to a higher confidence level. Learning: Supportive content can negatively impact triage. 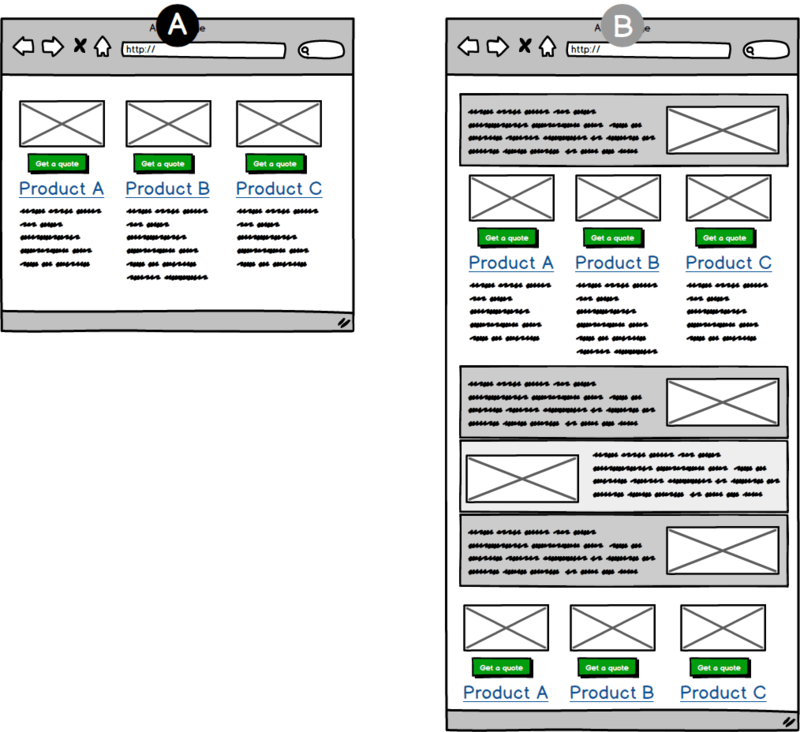 Well structured design elements and thumbnail images help visitors to navigate and convert. Exagerate number of call-to-actions can be counterproductive. Offering links to deeper information can fullfill visitor’s needs. Repeating the same of call-to-actions too many times can be counterproductive. A short introduction and an illustration is recommendet to explain and introduce complex topics. Exagerate number of additional links is counterproductive. Getting an immediate price information is a real need. A short-cut button fullfill visitor’s expectation. Effect (lift): +6.0% eMessages Visitors are confused if CTA’s are contradictory. 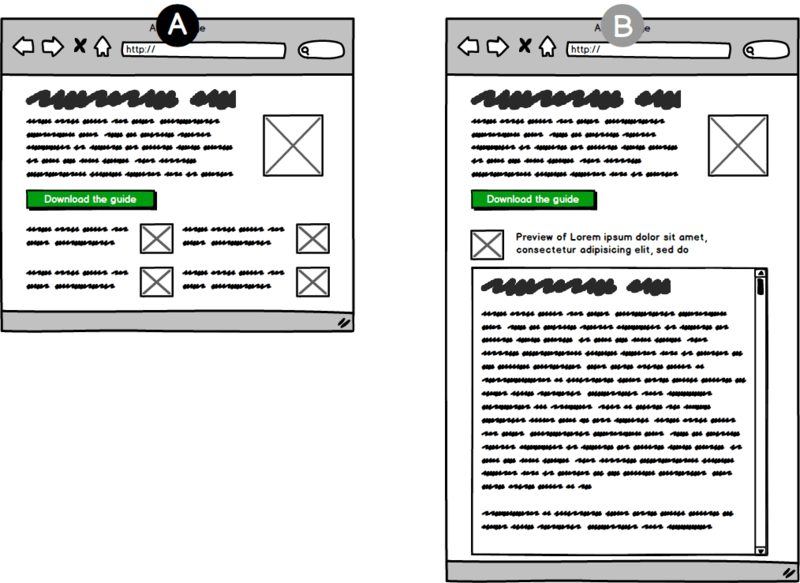 Information about quality certificates can improve conversions. Avoid illegible long button labels. Clear visual differienciation between two buttons is welcome. A short introduction and an illustration is recommendet in complex topic. One short clear mainingfull button is best. 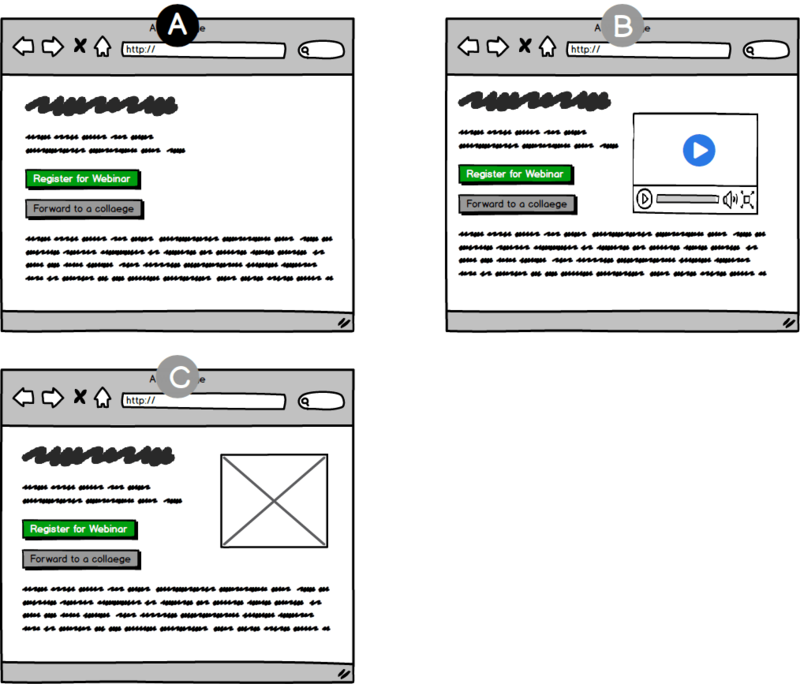 Quality certificates with a strong call-to-action can improve conversions. Remove links leading away from conversion. Bad user experience can lead to reduced conversions. Adding a promotion with a quote request is very effective. Avoid inline forms in favor of overlay forms. Video preview of webinars reduces webinar registrations. It is better to use a meaningful image. Human image subject is more personal and emotional. Mood or hero images have negative impact on conversions. Mood or hero images have negative impact on conversions, even if the call-to-action is above the fold. PDF preview can increase conversions if well made. Avoid using a form can boost conversion by 4 times. Of couse the challenges is the identification of visitors. Reduce a form for mobile visitors from 6 fields to 1 field is very effective and can double conversions. Service offering request and Service phone number influence positivly quote requests.